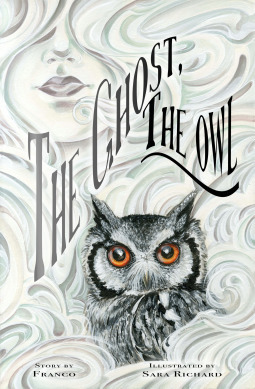 One night, an owl spies the ghost of a young girl skipping across the swamp and goes to investigate. Despite the advice of his fellow owls, he decides to help the lost ghost figure out why she is lost and the mystery of how she died. Despite being predictable, this is a beautifully drawn, sweet story. The art is a treat for the eyes; soft and flowing when it needs to be and crisp and scary when it needs to be. The detail is fantastic so, even though this is a pretty standard ‘find out why the ghost died so they can move on’ story, it’s so pretty, it should be seen. The ending is a bit abrupt and I would say this is too dark for very young kids but I enjoyed it and give it a 3.9 out of 5!